Searching for a used car for sale near Middletown? 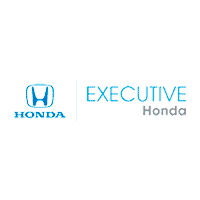 With over 92 used cars, trucks, and SUVs in stock here at Executive Honda, you’ve come to the right place. Because we want to have a used car for sale to suit the needs of every Meriden driver, we maintain a selection of used vehicles priced under $10k and a variety of certified pre-owned vehicles. And since we know you want a pre-owned car you feel good about, each and every vehicle in our inventory has been thoroughly inspected by our service team for quality. Browse our selection online to discover the used car, truck, or SUV you’ve been looking for. **CLEAN VEHICLE HISTORY REPORT**, **USB PORT**, **AUXILLARY PORT**, Beige w/Cloth Seat Trim.Odometer is 5808 miles below market average! 28/39 City/Highway MPG Awards:* 2012 IIHS Top Safety Pick * 2012 KBB.com Brand Image Awards2016 Kelley Blue Book Brand Image Awards are based on the Brand Watch(tm) study from Kelley Blue Book Market Intelligence. Award calculated among non-luxury shoppers. For more information, visit www.kbb.com. Kelley Blue Book is a registered trademark of Kelley Blue Book Co., Inc.
**NEW TIRES**, **NEW BRAKES**, **CLEAN VEHICLE HISTORY REPORT**, **ALLOY WHEELS**, AWD.21/27 City/Highway MPG Awards:* JD Power Dependability Study * 2011 KBB.com Brand Image Awards2016 Kelley Blue Book Brand Image Awards are based on the Brand Watch(tm) study from Kelley Blue Book Market Intelligence. Award calculated among non-luxury shoppers. For more information, visit www.kbb.com. Kelley Blue Book is a registered trademark of Kelley Blue Book Co., Inc.
**BLUETOOTH**, **BACK UP CAMERA**, **CLEAN VEHICLE HISTORY REPORT**, Ivory w/Cloth Seat Trim.Odometer is 36232 miles below market average! 27/36 City/Highway MPG Awards:* Car and Driver 10 Best Cars * ALG Best Residual Value * 2013 IIHS Top Safety Pick * 2013 KBB.com Brand Image Awards2016 Kelley Blue Book Brand Image Awards are based on the Brand Watch(tm) study from Kelley Blue Book Market Intelligence. Award calculated among non-luxury shoppers. For more information, visit www.kbb.com. Kelley Blue Book is a registered trademark of Kelley Blue Book Co., Inc.Car and Driver, January 2017. ***ONE OWNER***, **BLUETOOTH**, **BACK UP CAMERA**, **Honda CERTIFIED**, **NEW TIRES**, **NEW BRAKES**, **CLEAN VEHICLE HISTORY REPORT**, Black w/Cloth Seat Trim. Certified.CARFAX One-Owner. 30/39 City/Highway MPG Awards:* 2015 IIHS Top Safety Pick * 2015 KBB.com Brand Image Awards2016 Kelley Blue Book Brand Image Awards are based on the Brand Watch(tm) study from Kelley Blue Book Market Intelligence. Award calculated among non-luxury shoppers. For more information, visit www.kbb.com. Kelley Blue Book is a registered trademark of Kelley Blue Book Co., Inc.
***ONE OWNER***, **BLUETOOTH**, **BACK UP CAMERA**, **Honda CERTIFIED**, **NEW TIRES**, **NEW BRAKES**, **CLEAN VEHICLE HISTORY REPORT**, Beige w/Cloth Seat Trim. Certified.CARFAX One-Owner. Odometer is 4615 miles below market average! 30/39 City/Highway MPG Awards:* 2015 IIHS Top Safety Pick * 2015 KBB.com Brand Image Awards2016 Kelley Blue Book Brand Image Awards are based on the Brand Watch(tm) study from Kelley Blue Book Market Intelligence. Award calculated among non-luxury shoppers. For more information, visit www.kbb.com. Kelley Blue Book is a registered trademark of Kelley Blue Book Co., Inc.
**BLUETOOTH**, **BACK UP CAMERA**, **NEW BRAKES**, **CLEAN VEHICLE HISTORY REPORT**, AWD.Odometer is 1450 miles below market average! 22/30 City/Highway MPG Awards:* JD Power Initial Quality Study * 2013 KBB.com Brand Image Awards2016 Kelley Blue Book Brand Image Awards are based on the Brand Watch(tm) study from Kelley Blue Book Market Intelligence. Award calculated among non-luxury shoppers. For more information, visit www.kbb.com. Kelley Blue Book is a registered trademark of Kelley Blue Book Co., Inc.
***ONE OWNER***, **BLUETOOTH**, **BACK UP CAMERA**, **Honda CERTIFIED**, **NEW TIRES**, **CLEAN VEHICLE HISTORY REPORT**, Black Cloth. Certified.CARFAX One-Owner. Odometer is 2878 miles below market average! 31/41 City/Highway MPG Awards:* 2016 IIHS Top Safety Pick+ (When equipped with honda sensing) * NACTOY 2016 North American Car of the Year * 2016 KBB.com Brand Image Awards2016 Kelley Blue Book Brand Image Awards are based on the Brand Watch(tm) study from Kelley Blue Book Market Intelligence. Award calculated among non-luxury shoppers. For more information, visit www.kbb.com. Kelley Blue Book is a registered trademark of Kelley Blue Book Co., Inc.
***ONE OWNER***, **BLUETOOTH**, **BACK UP CAMERA**, **LEATHER**, **Honda CERTIFIED**, **ALLOY WHEELS**, Black w/Leather-Trimmed Seats. Certified.CARFAX One-Owner. 27/37 City/Highway MPG Awards:* ALG Residual Value Awards * 2016 KBB.com Brand Image Awards2016 Kelley Blue Book Brand Image Awards are based on the Brand Watch(tm) study from Kelley Blue Book Market Intelligence. Award calculated among non-luxury shoppers. For more information, visit www.kbb.com. Kelley Blue Book is a registered trademark of Kelley Blue Book Co., Inc.
***ONE OWNER***, **BLUETOOTH**, **BACK UP CAMERA**, **Honda CERTIFIED**, **CLEAN VEHICLE HISTORY REPORT**, Ivory Cloth. Certified.CARFAX One-Owner. 31/41 City/Highway MPG Awards:* 2016 IIHS Top Safety Pick+ (When equipped with honda sensing) * NACTOY 2016 North American Car of the Year * 2016 KBB.com Brand Image Awards2016 Kelley Blue Book Brand Image Awards are based on the Brand Watch(tm) study from Kelley Blue Book Market Intelligence. Award calculated among non-luxury shoppers. For more information, visit www.kbb.com. Kelley Blue Book is a registered trademark of Kelley Blue Book Co., Inc.
***ONE OWNER***, **BLUETOOTH**, **BACK UP CAMERA**, **Honda CERTIFIED**, **NEW TIRES**, **NEW BRAKES**, **CLEAN VEHICLE HISTORY REPORT**, Ivory Cloth. Certified.CARFAX One-Owner. 31/41 City/Highway MPG Awards:* 2016 IIHS Top Safety Pick+ (When equipped with honda sensing) * NACTOY 2016 North American Car of the Year * 2016 KBB.com Brand Image Awards2016 Kelley Blue Book Brand Image Awards are based on the Brand Watch(tm) study from Kelley Blue Book Market Intelligence. Award calculated among non-luxury shoppers. For more information, visit www.kbb.com. Kelley Blue Book is a registered trademark of Kelley Blue Book Co., Inc.
***ONE OWNER***, **BLUETOOTH**, **SUNROOF**, **HEATED SEATS**, **BACK UP CAMERA**, **LEATHER**, **Honda CERTIFIED**, **NEW TIRES**, **CLEAN VEHICLE HISTORY REPORT**, **LANE WATCH CAMERA**, **ALLOY WHEELS**, 16 Alloy Wheels, ABS brakes, Electronic Stability Control, Heated door mirrors, Heated Front Bucket Seats, Heated front seats, Illuminated entry, Leather Seat Trim, Low tire pressure warning, Power moonroof, Remote keyless entry, Traction control. Certified.CARFAX One-Owner. Odometer is 15848 miles below market average! 32/38 City/Highway MPG Awards:* 2015 KBB.com 10 Most Affordable Cars * 2015 KBB.com Our 10 Favorite New-for-2015 Cars * 2015 KBB.com Best Resale Value Awards * 2015 KBB.com 10 Tech-Savviest Cars Under $20,000 * 2015 KBB.com Brand Image Awards2016 Kelley Blue Book Brand Image Awards are based on the Brand Watch(tm) study from Kelley Blue Book Market Intelligence. Award calculated among non-luxury shoppers. For more information, visit www.kbb.com. Kelley Blue Book is a registered trademark of Kelley Blue Book Co., Inc.
Gray Cloth. Certified.CARFAX One-Owner. Odometer is 5499 miles below market average! 31/41 City/Highway MPG Awards:* 2016 IIHS Top Safety Pick+ (When equipped with honda sensing) * NACTOY 2016 North American Car of the Year * 2016 KBB.com Brand Image Awards2016 Kelley Blue Book Brand Image Awards are based on the Brand Watch(tm) study from Kelley Blue Book Market Intelligence. Award calculated among non-luxury shoppers. For more information, visit www.kbb.com. Kelley Blue Book is a registered trademark of Kelley Blue Book Co., Inc.
***ONE OWNER***, **BLUETOOTH**, **BACK UP CAMERA**, **Honda CERTIFIED**, **NEW TIRES**, **CLEAN VEHICLE HISTORY REPORT**, **POWER SEAT**, **ALLOY WHEELS**, Black w/Cloth Seat Trim. Certified.CARFAX One-Owner. 26/35 City/Highway MPG Awards:* 2015 IIHS Top Safety Pick * 2015 KBB.com Brand Image Awards2016 Kelley Blue Book Brand Image Awards are based on the Brand Watch(tm) study from Kelley Blue Book Market Intelligence. Award calculated among non-luxury shoppers. For more information, visit www.kbb.com. Kelley Blue Book is a registered trademark of Kelley Blue Book Co., Inc.
***ONE OWNER***, **BLUETOOTH**, **BACK UP CAMERA**, **Honda CERTIFIED**, **NEW TIRES**, **CLEAN VEHICLE HISTORY REPORT**, Gray Cloth. Certified.CARFAX One-Owner. Odometer is 6327 miles below market average! 31/41 City/Highway MPG Awards:* 2016 IIHS Top Safety Pick+ (When equipped with honda sensing) * NACTOY 2016 North American Car of the Year * 2016 KBB.com Brand Image Awards2016 Kelley Blue Book Brand Image Awards are based on the Brand Watch(tm) study from Kelley Blue Book Market Intelligence. Award calculated among non-luxury shoppers. For more information, visit www.kbb.com. Kelley Blue Book is a registered trademark of Kelley Blue Book Co., Inc.
***ONE OWNER***, **BLUETOOTH**, **BACK UP CAMERA**, **Honda CERTIFIED**, **NEW TIRES**, **NEW BRAKES**, **CLEAN VEHICLE HISTORY REPORT**, **ALLOY WHEELS**, Black w/Cloth Seat Trim. Certified.CARFAX One-Owner. 27/37 City/Highway MPG Awards:* ALG Residual Value Awards * 2016 KBB.com Brand Image Awards2016 Kelley Blue Book Brand Image Awards are based on the Brand Watch(tm) study from Kelley Blue Book Market Intelligence. Award calculated among non-luxury shoppers. For more information, visit www.kbb.com. Kelley Blue Book is a registered trademark of Kelley Blue Book Co., Inc.
***ONE OWNER***, **BLUETOOTH**, **BACK UP CAMERA**, **Honda CERTIFIED**, **NEW TIRES**, **CLEAN VEHICLE HISTORY REPORT**, **ALLOY WHEELS**, Black w/Cloth Seat Trim. Certified.CARFAX One-Owner. Odometer is 4256 miles below market average! 27/37 City/Highway MPG Awards:* ALG Residual Value Awards * 2016 KBB.com Brand Image Awards2016 Kelley Blue Book Brand Image Awards are based on the Brand Watch(tm) study from Kelley Blue Book Market Intelligence. Award calculated among non-luxury shoppers. For more information, visit www.kbb.com. Kelley Blue Book is a registered trademark of Kelley Blue Book Co., Inc.
Now that you’ve explored our used vehicles for sale, it’s time to get behind the wheel for a test drive. Contact us today to schedule your visit to our showroom in Wallingford near Southington.